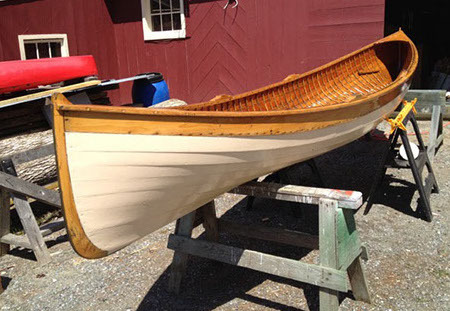 This modified version of a classic Rangeley Guide Boat is built with steam-bent oak ribs with Atlantic white cedar planking and larch stems. 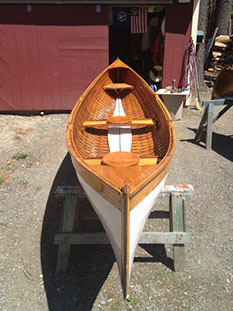 This is a very stable boat, excellent rowing in all types of water. Easily trailered or mounted on car top roof racks. It weighs around 150 lbs.